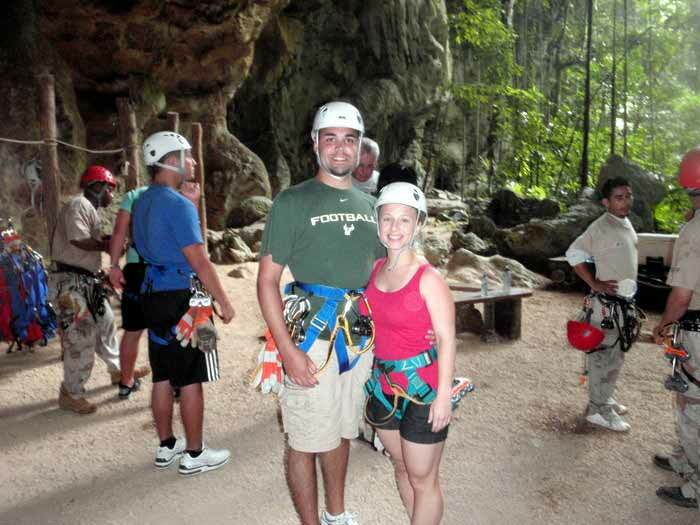 Touring Mayan ruins, cave tubing and zip lining are enough to keep most visitors busy in Belize. Many never make it to the islands, but I urge you not to miss the islands and the Caribbean Ocean. 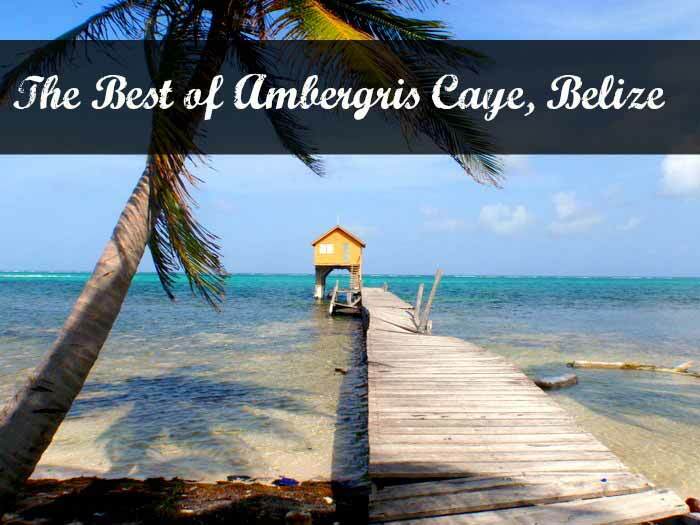 Ambergris Caye (pronounced “key”) is one of those islands you should visit. Once there, you’ll quickly realize why it is a favorite of ours. We loved our four days on the island and this post will tell and show you why! 1. 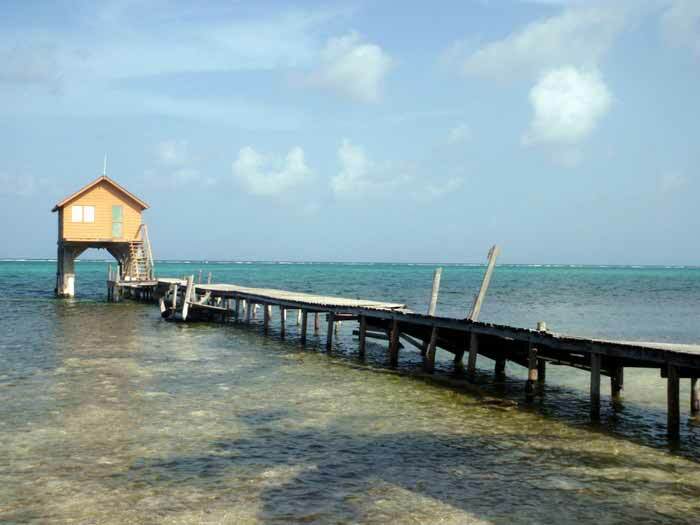 Hol Chan Marine Reserve – Just off the coast of Ambergris Caye is the Hol Chan Marine Reserve. 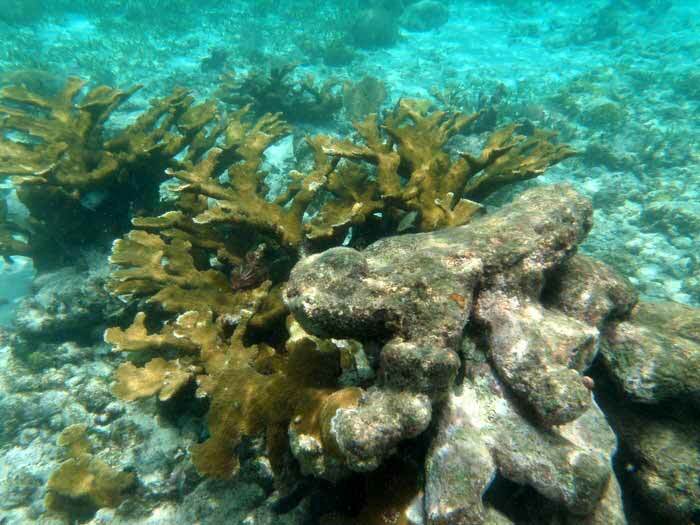 This reserve is home to colorful fish and beautiful coral reefs. Whether you dive or snorkel, you will be sure to feel like you are swimming in an aquarium. 2. 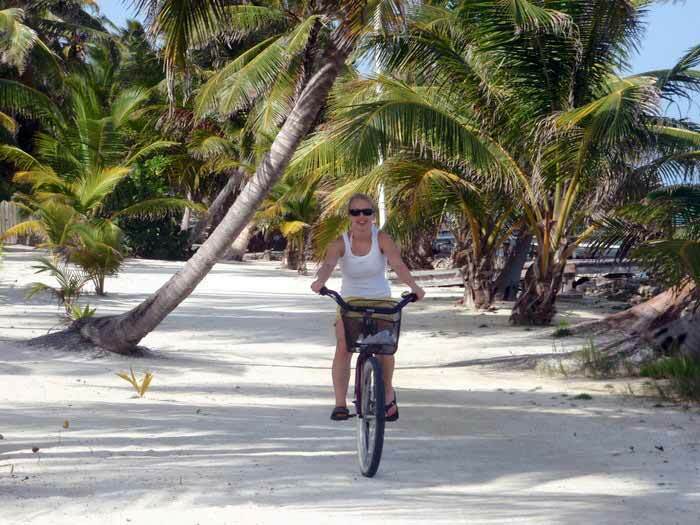 Bike Rentals to Explore the Island – Many people rent golf carts, but we chose bikes. Not only are they cheaper, they are better for the environment and our bodies. From San Pedro you can ride north and south for hours and have views of the ocean or local neighborhoods. 3. 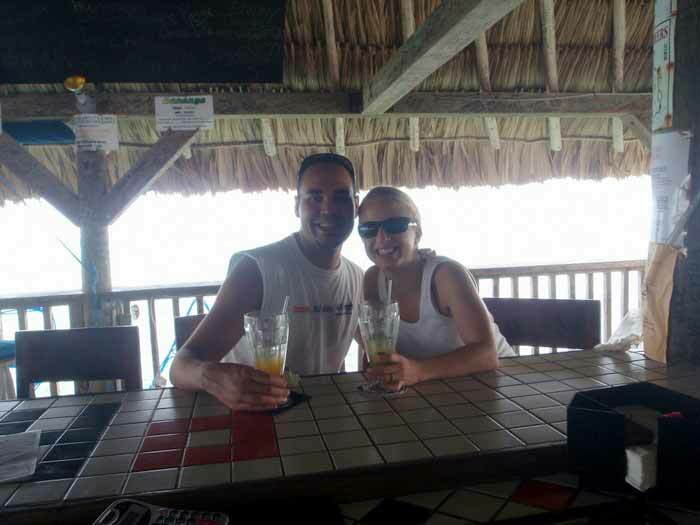 Make Your Mark at “Palapas” – Palapas means “thatched roof” and that is just what this establishment is: an outdoor bar and grill built at the end of a dock with a thatched roof. It is my definition of paradise. I am not one to promote restaurants on the blog, but this one is worth it – for its atmosphere, very friendly staff and views of the ocean. We only had drinks so the food might be lousy for all we know. That being said, I would still urge you to go! You can also sign your name on the rafters – always a fun bonus! 4. 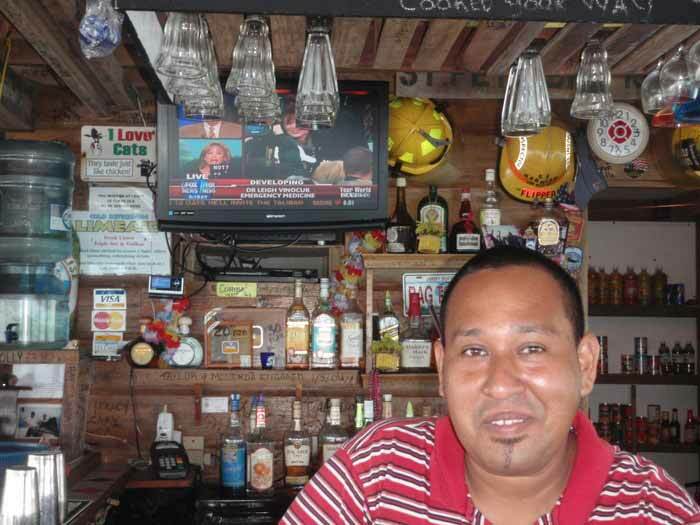 Walk around San Pedro – You never know what you’ll find! That is how it happened for us. 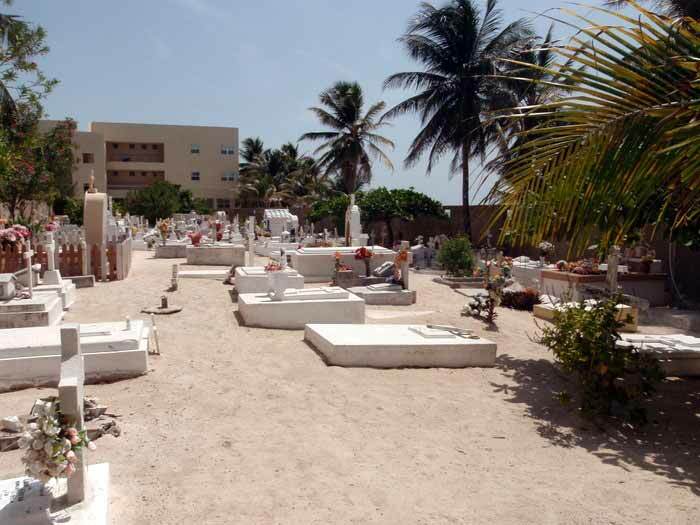 We just began walking after breakfast and stumbled upon children with talking parakeets, a fisherman cleaning his catch and a cemetery steps from the ocean’s edge. It is nice to “get lost” in a new place sometimes! 5. 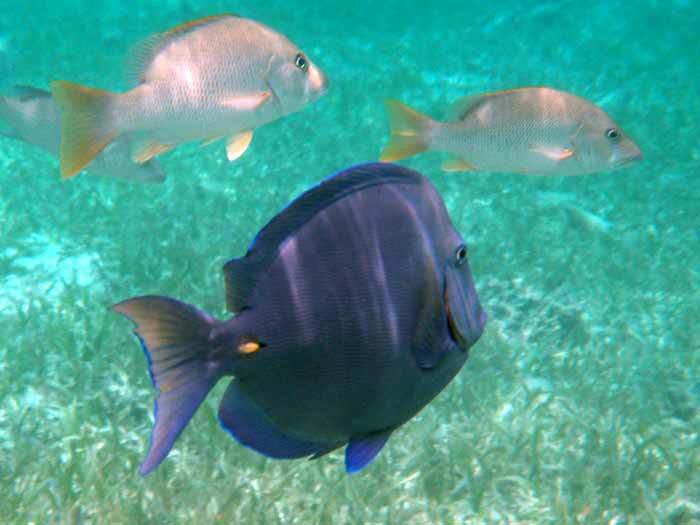 Swim in the Caribbean Ocean – Snorkeling and diving in Belize are pretty obvious choices. But what about just a fun dip in the ocean? Even better when local kids join you for a fun game of “water tag.” The water is warm, calm and clear on most days, so take advantage of it all and take a swim at any of the white sand beaches on the island. 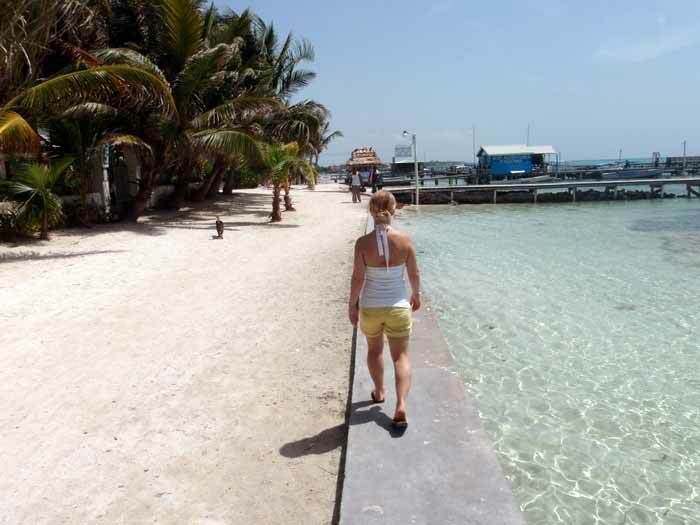 Mike and I spent the first four nights of our honeymoon on Ambergris Caye in Belize. 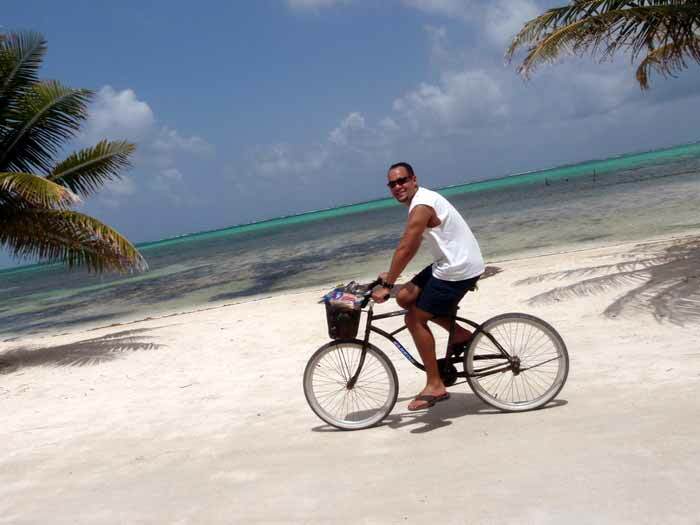 We rented bikes to explore the small town of San Pedro, enjoyed our idyllic view of the Caribbean Ocean at our boutique hotel and snorkeled Hol Chan. We were in bliss from our recent wedding and the pristine beauty of the island. 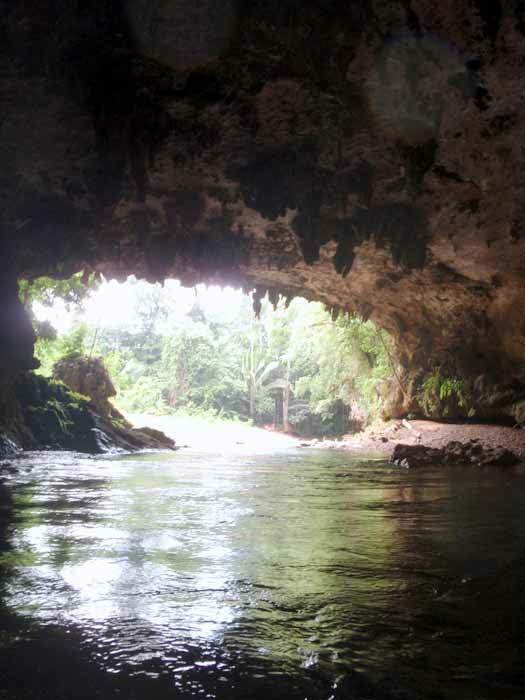 But, we also wanted to see the other side of Belize – the jungle. We flew out to to and from the mainland via airplane and loved the views of the Caribbean from above. However, our wallet liked the boat ride for this day trip off of the island. We hopped on a speed boat early on rainy morning and headed for the mainland with our guide. Forty-five minutes later we were in a dry van with twelve other travelers and on our way to the first adventure of the day – zip lining! We geared up and were off. I love when tours help you make the most of your limited time! 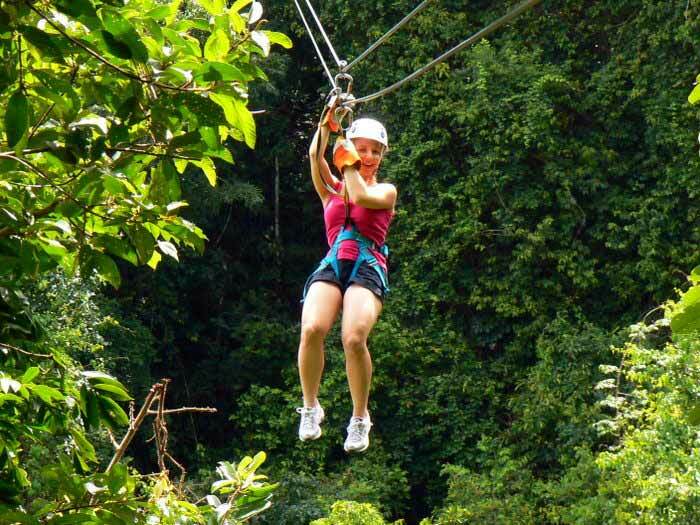 The tour consisted of four long lines and two rappels through the lush canopy of the rain forest. The views are breathtaking, although we did not see any wildlife. 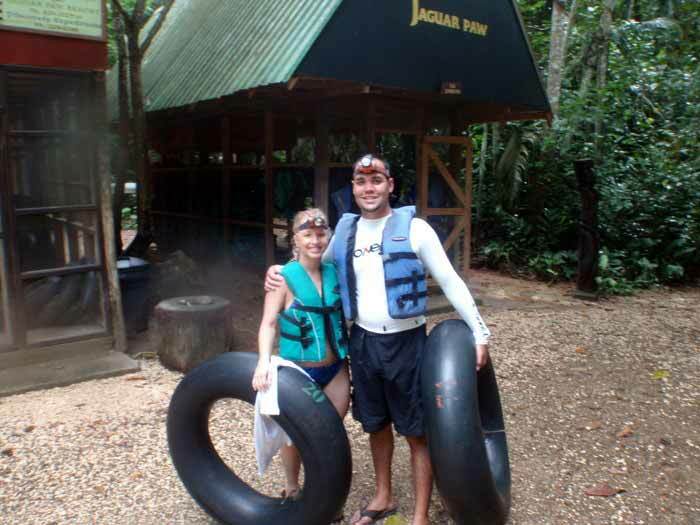 Lunch at the Jaguar Paw restaurant followed zip lining. It was nondescript; filling, but nothing to write home about. Or maybe I say nothing to write to blog readers about. The spring fed river is chilly, but beautiful. 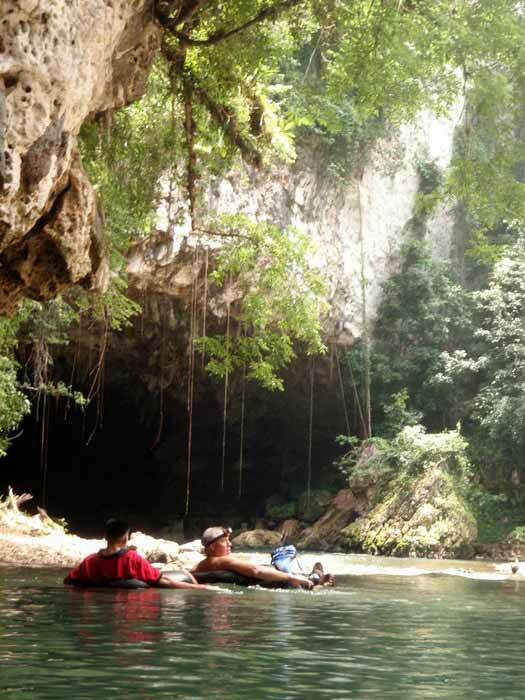 However, you cannot see how pretty the water is for the majority of the trip as you float in and out of caves that are pitch dark. Luckily, you are fitted with a head lamp. 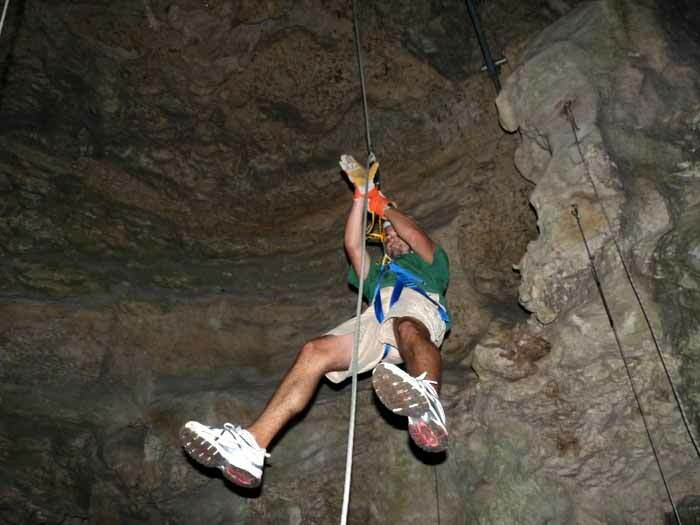 The head lamp gives just enough light to see your surrounding, which includes the caves’ walls. 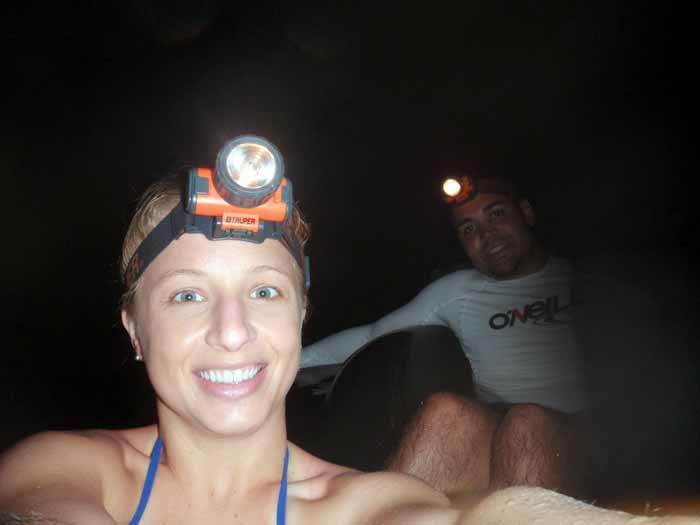 Although pitch black at time, I did not get scared until other patrons in our group started making comments and jokes about animals in the water. None of it is true, but your brain can play funny tricks on you. 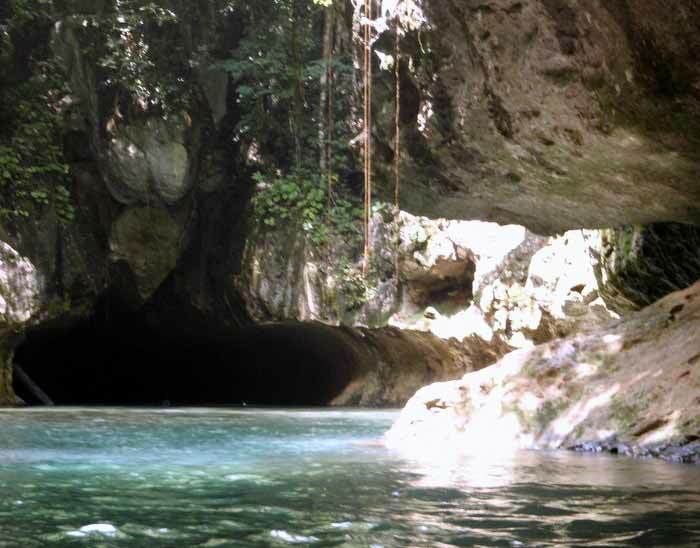 I immediately sucked my toes, fingers and bum out of the water for the rest of the slow float through the cave. Ugh! I’m so weak! 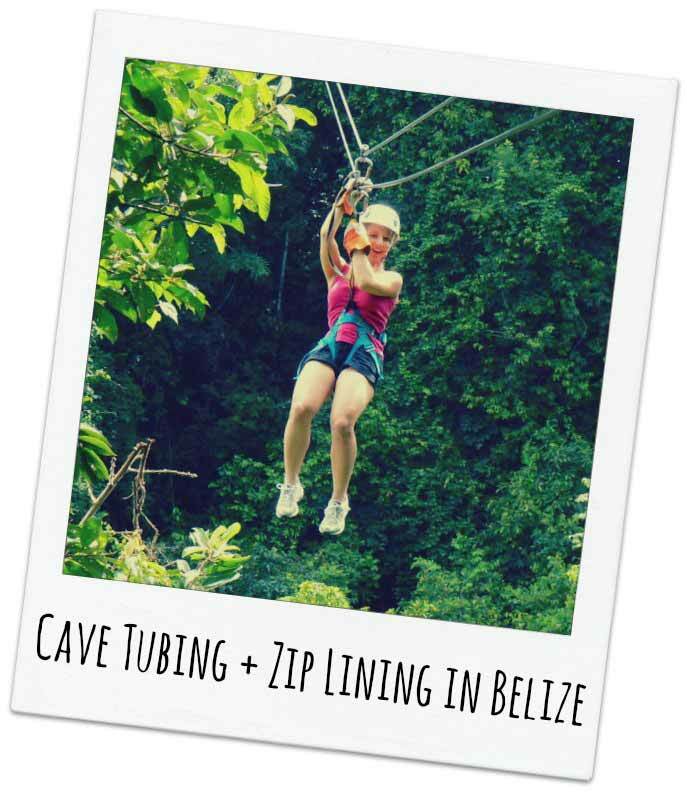 This combined tour of both zip lining and cave tubing in one day made for a loooong day. If you are staying in the jungle I would break the tour up into two days. 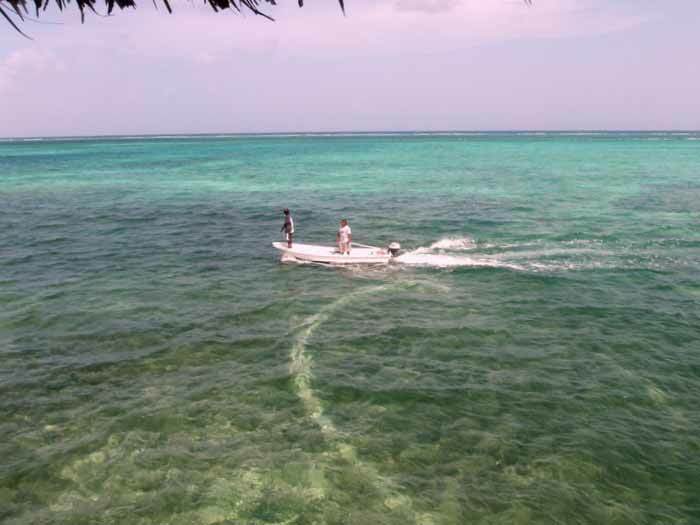 However, we had another forty-five minute boat ride back out to Ambergris Caye, so I am glad we combined the activities into one.